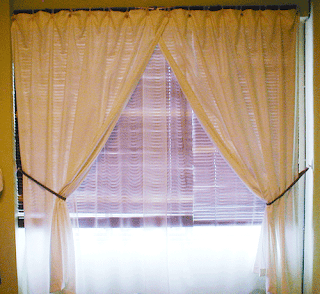 But the result was satisfactory. 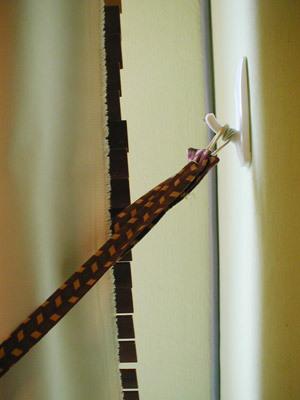 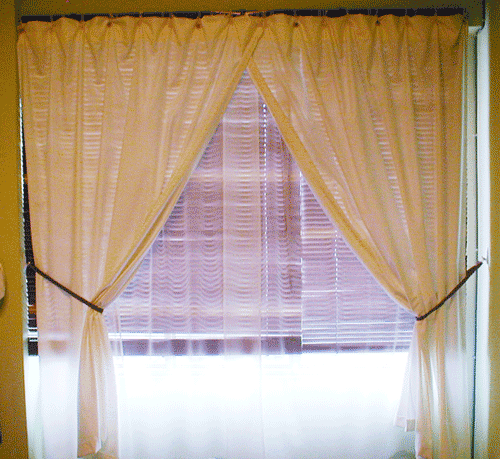 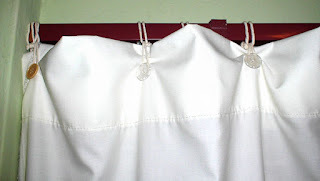 I even made a pair of curtain tie backs using an old belt that is no longer in use. The hooks can be removed and reused again, and the tie backs are secured by some old rubber bands tied on the hooks.